When you commission an energy audit or BER Certificate as it is more commonly known either for compliance with IPPC licencing or to reduce the operating cost of your home or a commercial enterprise PDS are in a position to advise and help you. BER Certificates, Building Energy Ratings, Sustainable Energy and Renewable Technologies are common every day phases to all of us. 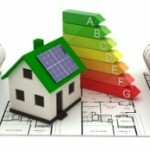 Due to the introduction of Carbon Taxing the extent of energy efficiency in buildings has become more and more important. This is not confined to the Green initiative. This is a matter which can directly affect the cost of managing a building, whether it is a residential home, or a large office building. On-going changes to the Building Regulations have meant that the construction of new homes must now consider both the use of a more efficient heating/energy source and reduced CO2 emissions. The requirement to submit a Provisional BER Certificate to some Local Authority’s prior to construction of your new dwelling has the benefit of allowing you to investigate the range of products on the market and decide what is best for your own situation and needs. PDS will carry out a BER survey at your premises and provide you with a registered BER Certificate. All of our BER assessors are Construction Professionals, so you can be assured of the best possible service. PDS are qualified assessors and can provide BER Certificates for Domestic, Non-domestic and Air Pressure testing. We can advise independently with regard to the selection of heating, renewable and insulation materials and through use of the DEAP Software package show the common sense savings that should be adopted.